I spotted a recent article published by TheBusinessDesk.com regarding the financial woes of a direct mail business called SDM. The business has apparently failed, despite having a 100% prepayment from an invoice finance facility. 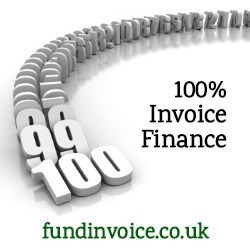 The article reminded me of how vital it is to have an underlying business that is viable, for invoice finance to help. In this particular case, the article alleges that SDM (Sunline Direct Mail) owed almost £1M to creditors when it went out of business. Apparently, the direct mail business serving Loughborough and Nottingham had experienced a decline in demand since 2017, including the loss of several key customers. Additionally, there was apparently significant investment made in a loss-making division that failed to make a return. These are fundamental business problems that no amount of funding will solve. The article goes on to explain that at that time, ABN had an advance rate of 100% on their invoice finance facility. This is a very high advance rate, there are providers that will offer this level of finance against invoices (as discussed in recent articles about 100% invoice finance), however it is no substitute for a viable underlying business. If sales are deteriorating at a rate that expenses outstrip income, invoice finance is not going to solve the problem. A better option would be to review the whole business model and see if any of the business is salvagable, and to quantify the possible upside from an alternative marketing strategy aimed at growing the turnover. In cases where underlying sales are not performing as desired, we have a full service marketing agency on hand that will provide an initial free consultation to prospective customers. This can be used to discuss your issue and see if there may be scope to boost your sales. The invoice finance is a great tool to speed up cash flow, but the case of SDM demonstrates that you have to have a viable business in the first place otherwise no level of prepayments alone will save the company. If you are concerned about the solvency of your business, you can use our contact form to request a free, confidential call back from Andy Pear, an Insolvency Practitioner with BM Advisory to discuss your circumstances and to understand your options.